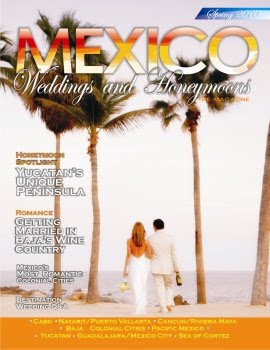 Mexico Weddings & Honeymoons Magazine has redesigned it's website. The new look makes it easier to get around from page to page. Also, our advertisers can now be reached through their website or email address. Some of them are offering specials for any bride, honeymooner, wedding coordinator, or travel agent that contacts them and let's them know you found their information in the magazine. 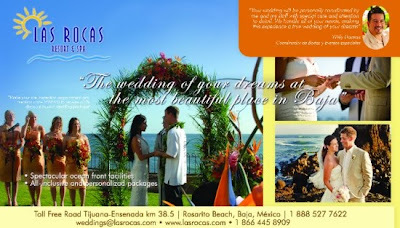 Where in Mexico are you getting married? We'd like to hear from you? The staff at Mexico Weddings & Honeymoons magazine is interested in where you will plan your wedding? A beach resort? A colonial city? Give us an idea by either email us (mexicoweddings@yahoo.com) or simply leaving a comment on this blog. 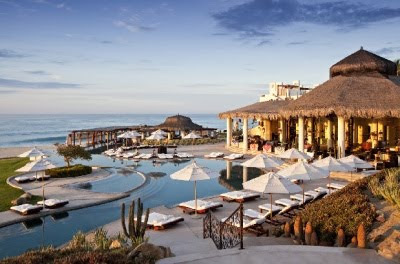 Tripadvisor.com announced the top ten honeymoon spots for celebrities throughout the world and Mexico had two resorts listed; El Careyes Beach Resort and Las Ventanas Al Paraiso. Las Ventanas Al Paraiso was voted #2 with such celebrity honeymooners as Kate Beckinsale and Len Wiseman; Chris Martin and Gwyneth Paltrow. It's located in Los Cabos. 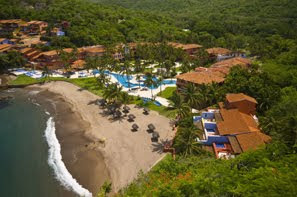 El Careyes Beach Resort was voted #10 with Seal and Heidi Klum spending their honeymoon at the resort located between Puerto Vallarta and Manzanillo.